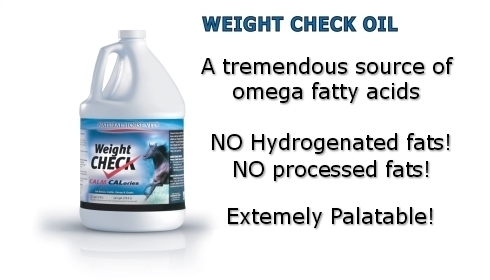 Your horse needs "Good" Fats and Weight Check Oil's 3, 6 & 9 Omega Fatty Acids are beneficial to any horse's diet and is an essential component of our time-proven Feed For Success program. Our Weight Check Oil formula contains NO Hydrogenated Or Processed Fats and is cold-pressed- not heat processed, thus helping to retain all the nutrients possible. Its source has not been genetically engineered. Every cell in the body is surrounded by fat which allows nutrients into the cell and waste to get out. The hydrogenated fats found in almost every commercial feed causes cell membranes to become like plastic, preventing this exchange of nutrition and waste. It's been proven in people that hydrogenated fats cause insulin resistance, obesity, Type2 diabetes, etc. Hydrogenated fats are no friend to our horses and pets! What weight management challenge is your horse facing? If your horse needs to lose weight or maintain his current weight, give 1-2 oz. per day. If your horse needs to gain weight you can add more as directed. Athletic Performance, Reproductive Health, Moody Heat Cycles, Milk Production, Body Condition, Coat Condition, Weight Gain, Weight Loss, Increased Stamina and Muscle Recovery from Exercise. Top-dress 4 to 8 oz. per day per 1000 lbs body weight. Top-dress 1 to 3 oz. per day per 1000 lbs body weight (maintenance). 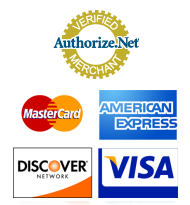 Our Weight Check Oil is simply weigh-better than the rest!"